Let's build together the world we wish for ! This website hosts 114 articles ! Welcome to Rochbambou, our 98th subscriber ! Please follow us on Twitter and Facebook ! The Translation team is looking for extra volunteers (French/English translators) ! Feel free to participate in The Transition Project if that’s not yet the case ! The more we are, the quicker it will go. If you are carrying out a personal test/project in your area, contact us. TTP has now 4 years existence ! Participate too ! The water generator is ready ! 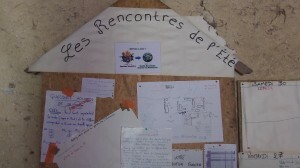 During the summer 2012 took place the summer 2012 Francophone Meetings. With 10 euros per day, it was possible to setup a tent or sleep in a dorm. In addition, food and drinks were included. 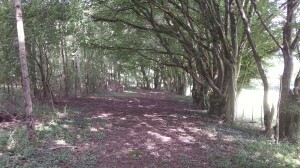 There were also dogs, horses, ruins (reading/spirituality corner) and a forest for a peaceful walk. 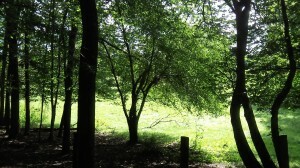 Above (photo 1), one of the trees of the forest. 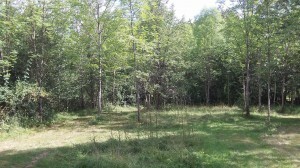 On this second picture, the legal end of the forest. As a remark, we can find a path on the left and on the right. Afar (photo 3), we can notice horses. 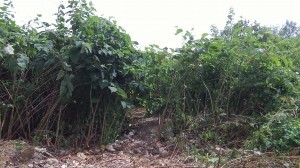 If you wander in the forest taking the left path, you will come accross a small clearing (photo 4). 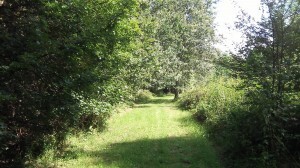 In the middle of the forest, there is also a path that goes on the right (photo 5). 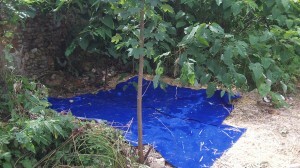 At this spot, there is also a small and cleared area where we can picnic for example (photo 6). 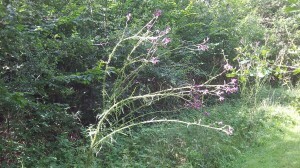 We can also find wild flowers (photo 7). 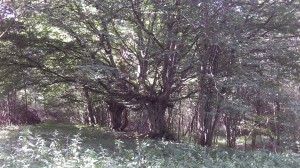 And old trees (photo 8). 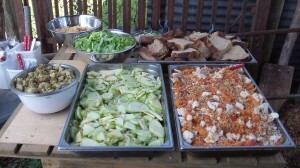 Some prepared lunch. The goal was to eat organic as much as possible (photo 10). 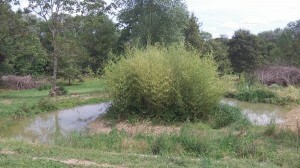 There are also small islands (photo 11). 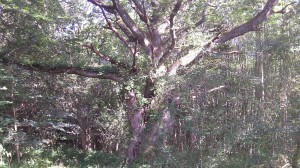 And a sacred tree (photo 12). 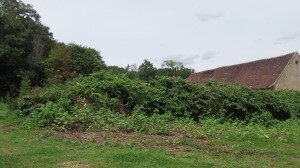 Above (photo 13), ruins covered by vegetation. 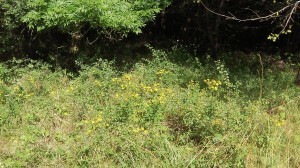 Here (photo 14), you are at the entrance of the ruins. 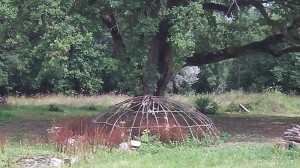 Once inside (photo 15), you will find a calm space for reading or spirituality. 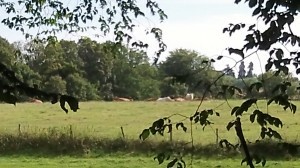 At the time the article is being written, (August 4, 2012), negociations were under way to occupy permanently this place. C’est un solution intéressante surtout pour les amoureux de la nature. Qui ne souhaiterait se rapprocher de la nature et vue combien il faut dépenser par jour cela fera d’énormes économies. Have you ever thought about adding a little bit more than just your articles? I mean, what you say is valuable and everything. However think of if you added some great pictures or videos to give your posts more, “pop”! Your content is excellent but with images and clips, this website could undeniably be one of the greatest in its niche. Terrific blog! What is Augmented Reality ? nike free tr fit on What do you need to electrify a house for 24 hours ? Nike Air Max 90 Herr Running Skor Vit Bl氓 Svart Apelsin on What do you need to electrify a house for 24 hours ? ALAYINAISYAN.NET on [Food] New surprising discoveries !